PowerPoint Presentation is an efficient tool in encouraging presentation but it’s not the presentation itself, you are the person that your audience came to see. Therefore construct the presentation with your self as its centerpiece. Use your slides to back up your points along with keep them basic and clean. Cluttered slides along with flashy effects will distract your viewers from you and your message. 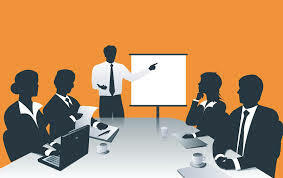 While planning your presentation spend time in the Glide Sorter view regarding PowerPoint Presentation. This will display all of your current slides on one page and will help you not only properly judge their order, but also to discover how your business presentation will progress along with whether it moves naturally.